Relevant Seminars is a Christian, not-for-profit ministry in Vancouver, Washington. Our heart's desire is for you to have an opportunity to study God's Word and understand it better. Our prayer is that you will deepen your love for Jesus, the One who is the Author and Finisher of our faith, and that you will come away with a deeper knowledge of what the Bible has to say about the times we live in. 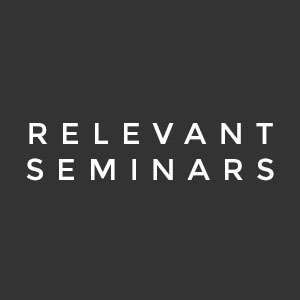 Relevant Seminars offers Bible classes throughout the United States and around the world, hosted by select local churches and presented by knowledgeable instructors with decades of Bible study experience. Our seminars focus on practical application of Bible principles to your life, frequently focusing on Bible prophecy and what it says about your future.